Actually I was thinking that you could probably take the words ‘social media’ out of that quote, insert ‘second language education’ in their place, and then we could have yet another debate on the merits of edtech and its place in the learning of English. I got the quote from Brian Solis’ webpage. To be precise, it’s the first in a list of debate-provoking quotes here. Anyway, I liked the quote. 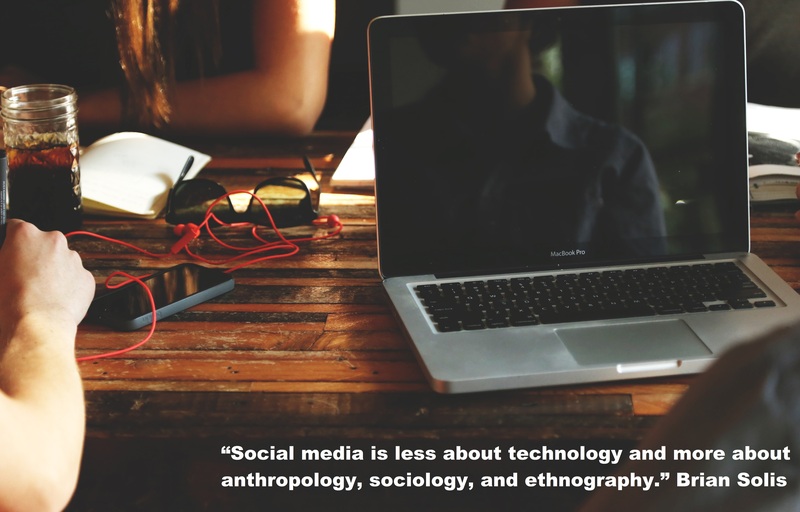 I think ‘anthropology, sociology, and ethnography’ are probably not foremost in people’s minds as they go about their day-to-day teaching. I also think that the use of SocMed can grow this awareness, and, in the social sharing in the classroom, it can give us a deeper insight into the people we meet and the processes that we experience or engage in.